MIS Events – Register and Enjoy a Coffee on Us! The primary purpose of Business intelligence (BI) is to enable access to and analysis of information so corporate executives, managers, operational workers and other end users make better and more informed decisions. There’s no doubt that BI is a tool that can provide a significant business impact. This blog discusses BI in relation to the manufacturer, specifically the benefits of BI to the manufacturer and manufacturing cost insights with Epicor ERP BI. 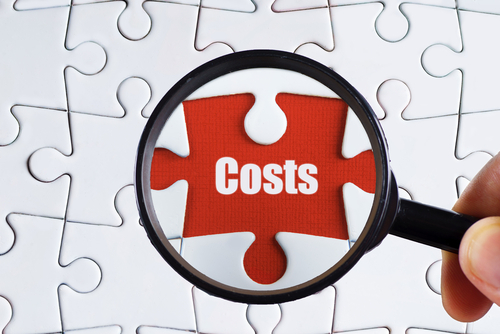 Cost insights are a cutting edge form of business intelligence that provides actionable insights on product costs and profitability available not only to corporate executives and managers but also to engineering and manufacturing. During a time when manufacturers are working hard to increase efficiencies and reduce costs, visibility into product cost data can be invaluable in controlling production costs. To learn more about Epicor ERP BI, contact MIS. MIS can help you configure an Epicor ERP solution that produces the necessary insights for you to keep your manufacturing operations optimized. MIS incorporates industry best practices to help manufacturers improve cost controls from production through shipping of the final product. MIS, the longest standing Epicor ERP partner, is a partner that you can trust to deliver an Exceptional ERP™ experience. Karen Beaulieu has worked in the ERP software industry for over 15 years. Having worked in a variety of roles from product development, channel and direct sales to marketing, Karen has a unique understanding and perspective of the ERP software industry. Currently Karen works in a marketing capacity for MIS Consulting & Sales and MIS Solutions Canada, ULC. When is it the Right Time for a New ERP System? Outdated ERP System: How Bad Do You Look from the Outside? Are Best Practices Best for Your Manufacturing Business? MIS Consulting & Sales serves Canada, the Pacific Northwest region, and Southern California including Portland, Oregon, Seattle, Washington, Vancouver, Calgary, Toronto, Orange County, Los Angeles County, and Riverside County.